The Panthers signed Ross on Thursday, Adam Schefter of ESPN reports. The AAF announced Thursday that all players, including Ross, are immediately authorized to sign with NFL teams. Analysis: Of the five receivers to draw over 50 targets through eight weeks in the AAF, Ross's measure of 11.2 yards per target easily blew the competition out of the water and the 29-year-old seems to have favorable odds of getting another shot in the NFL this summer. 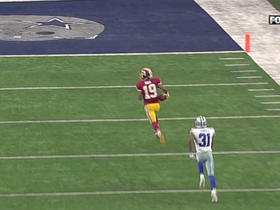 Ross hasn't appeared in an NFL game since his 2016 season with the Redskins, but he's already proved his explosiveness to some degree thanks to the 101-yard kickoff return and 71-yard receiving score he registered with Washington in 2015. Analysis: Ross was released by the Cardinals in mid-August, unable to make it through the preseason with a team that had a glaring need at his position. He does have 22 NFL appearances to his name, highlighted by a 2015 season in which he scored a 71-yard receiving touchdown and a 101-yard kickoff return touchdown while playing 13 games for the Redskins. He still has a difficult path ahead of him, but the 29-year-old wide receiver is at least making his case for another NFL opportunity. Ross was released by the Cardinals on Tuesday, Darren Urban of the Cardinals' official site reports. Analysis: Ross signed a reserve/future contract with the Cardinals back in January after spending the last month of the 2017 season on the team's practice squad. He was seen as a long shot to make the team's final roster this season and was let go in order to make room for the signing of fellow wideout Austin Wolf. The Cardinals signed Ross to a reserve/future contract Tuesday, Josh Weinfuss of ESPN.com reports. Analysis: Ross, a local product who attended Arizona State, landed on the Cardinals' practice squad during the latter portion of the season. He will now look to make an impression during the offseason and try to earn a role on the active roster for the 2018 season. 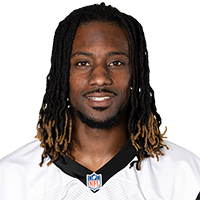 The Cardinals signed Ross to their practice squad Tuesday, Darren Urban of the Cardinals' official site reports. Analysis: A local product who played college football at Arizona State, Ross will boost the organization's numbers at wideout after Brittan Golden (arm) was placed on injured reserve Tuesday. Though Ross was bypassed for an immediate promotion to the 53-man roster, he could earn a callup if the team suffers further personnel losses at the position in Sunday's game against the Giants. 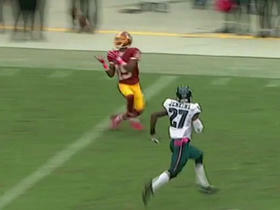 Redskins Colt McCoy finds Rashad Ross for a 71-yard TD. 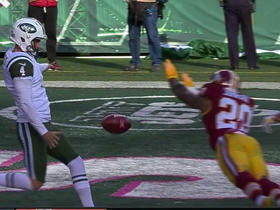 Redskins Jeron Johnson blocks punt, recovered by Rashad Ross for touchdown.